The season of snow and light is here again. 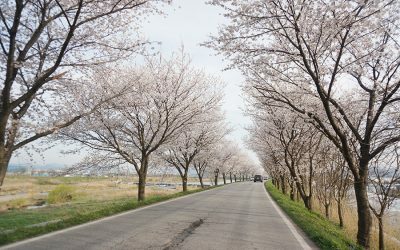 This week, I’ll introduce the places where you can stroll as if you’re free from worldly cares, while cherishing the vivid ‘snowscape’ of Jeonju. The snowscape of Jeonju is unique. Walk to the Omokdae Pavilion and appreciate the vastness of the snow-covered Hanok Village under your feet. I also recommend visiting Jeonghyesa Temple. It’s in the middle of the city, but it seems as if I’ve just entered the Korean Narnia. If you’re looking for more serenity and a leisurely walk, visit the nearby snow-capped Moaksan Mountain. After a busy year, the mountain is hibernating, silent. Time stopped flowing here, so that I can finally afford to walk the beautiful mountain trail. Located in front of the Jeonju Train Station, the illuminated Chutmajung-gil is more beautiful at night. The traditional Korean style pavilion located in the Jeonbuk National University, Munhoeru, is one of the newest additions to the nightscape of Jeonju. The reflection of the illuminated pavilion over the pond and the vibrant atmosphere of the university lightens up the stroll into the winter night. I recommend ending this small trip at the Donggosa Temple. Looking over the glittering city covered in snow is reinvigorating. The beautiful memories of the Jeonju ‘snowscape’ will fuel my everyday life to come. 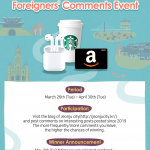 Have not visited Jeonju in Winter but I would definitely want to go there when it snows! Beautiful in the Winter it seems! The village is a must to visit in Jeonju, you will have an extraordinary time there enjoying the view and taking gorgeous photos, I totally recommend going there early in the morning or/and afternoon around 4/5 pm. Amazing! Chutmajung-gil looks absolutely wonderful!!! That is an illuminated streetscape rivaled only by the night lights of Paris. Can’t wait to brig my DSLR and snap away!! Beautiful! I like the shapes of the hanok roofs, + the snow makes it looks dreamy! I live in Gangneung and it didn’t snow at all this year sadly~ Wish I could’ve traveled to Jeonju for a bit to see how pretty the snow looked on these places! This looks so beautiful! I was disappointed that it didn’t snow much this year. I wish I could’ve gotten to see this at least. 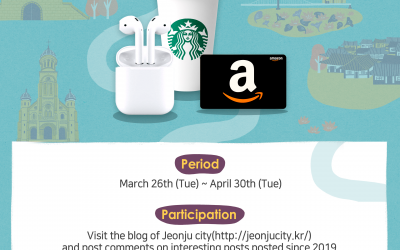 Winter in Jeonju sounds interesting! I want to see the snowcape in Jeonju. Although the snow looks pretty, i prefer to stay indoors. You can appreciate the beauty while staying warm. I didnt expect that Jeonju in winter is beautiful like this before..
Jeonghyesa Temple during winter is a great place to go if you wanna experience what Korea really is. 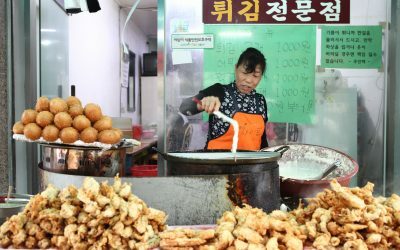 More than big cities and buildings, Jeonju is a city that combines both modernity and traditions in a perfect way. Wow, it looks so romantic! The snow makes it look beautiful, but I’m sure it’ll look amazing in spring and fall as well. I’d love to go there with my boyfriend and enjoy the night views! I don’t believe this. I wanna see it with my own eyes! It doesn’t really snowing much this year!! 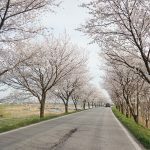 When is the best time to visit other than winter time? Guess I’ll have to check this place out during the winter season. The temple and hanok village looks beautiful in the snow. The photos look so peaceful. I love the photo of the night view too. I’d really like to visit someday. As I said before, modernity and traditions together in a single place, wow! And the best part is that you can go during different seasons and the scenario will change! Wow. As someone from California. I’ve always dreamed of seeing snow fallen on top a roof. To imagine a traditional Korean rooftop covered in snow really blows my mind. Jeonju hanok looks so impressive with snow on top of the roof! 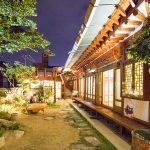 Jeonju is a city with the combination of traditional and modern style where you will able to see hanok in the day time and decorative lighting street at night! The pavilion is so pretty with the night lighting and I couldn’t belive it is inside the national university!! I want to be in Jeonju for my next winter!!! Jeonju covered with snow makes the city so much more breathtaking, and the idea of leisurely walks make it even better as well. 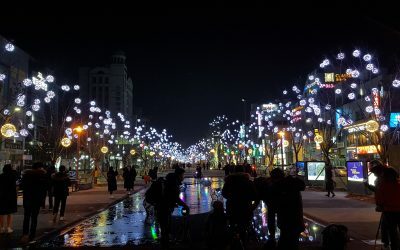 I also love the new addition to the night scape of Jeonju, a night time view is the best ending to any day. Really what a snowy day it was there, I remember. Snow is white, but it melts when temperatures are over 0 degrees, so sad. snowball fights, national sport of korea! pro surviving tip: if you melt the snow you can get some water. And of course, imaging all of the great photos that you can take there! Omg the snow makes everything look so beautiful!!!! Yes, the photography is excellent and makes me want to visit ALL the places! Great post.